French fries might be your favorite part of a fast food meal, but they have a serious shortcoming. They expire after 13½ minutes. French fries are very thin strips of potato. They have a lot of surfaces to get crispy and crunchy and to carry salt into your mouth. That surface area provides a ready escape route for heat. They cool down very quickly. 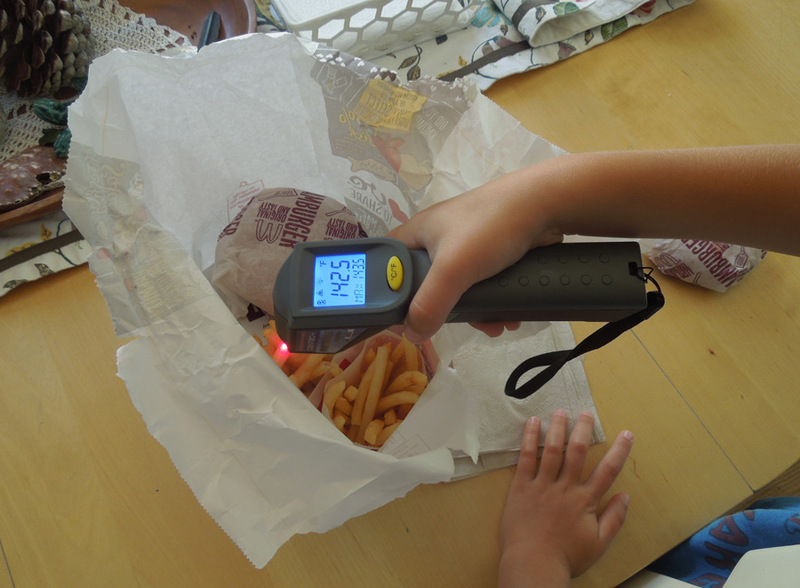 Last Friday I enlisted the kids to help me determine exactly how quickly fries cool down. The first step was to buy some french fries. I bought two small orders of fries from McDonalds. As soon as I got the bag, I measured their temperature at 188°F. Hot. Next I rolled the bag closed and brought them home to my family. Time was of the essence. Like 94% of my fellow Americans, I live within 8 minutes of a McDonalds. In eight minutes I was home. It was lunch time. 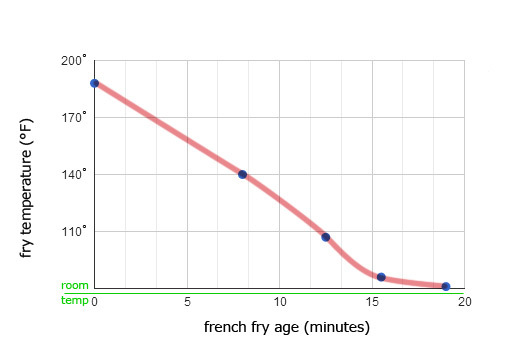 The french fry temperature had plummeted 48° and was now 140°F. This was still in the delicious zone. I pulled them out of the bag and put them on a plate. 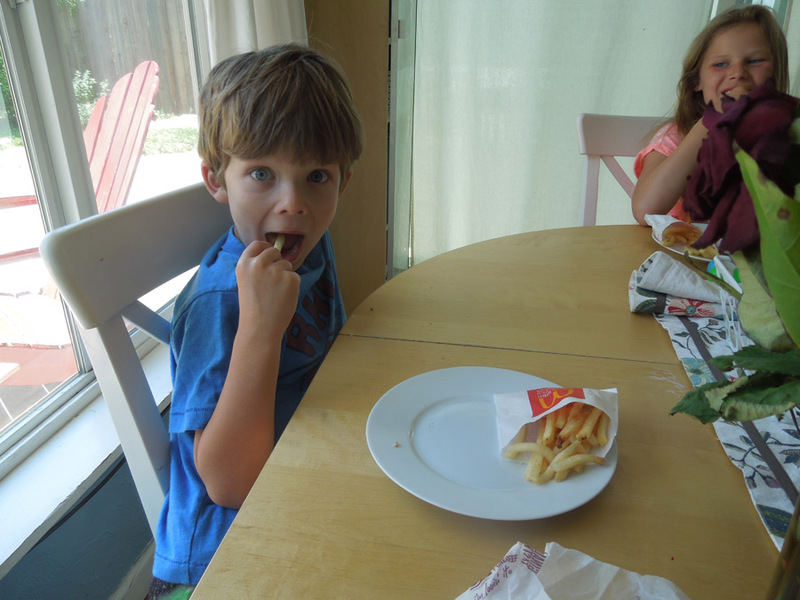 The kids had a few fries, but saved me some for scientific examination. 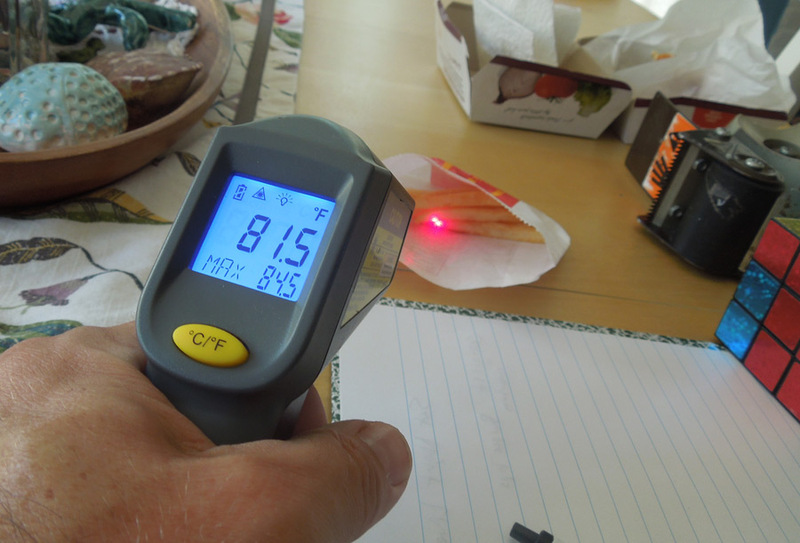 At the 12 minute mark, the fries were 107°F, and at 15 minutes they were down to 86°F. Not long after that they were 81°, which was close to room temperature. The data came together like this. 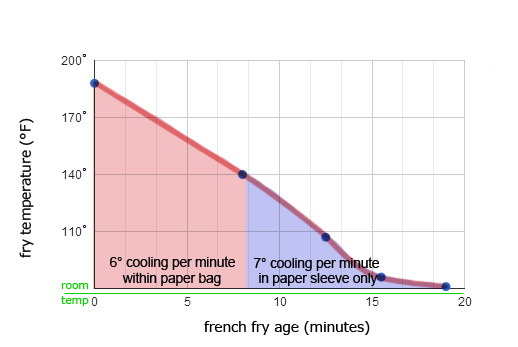 The fry temperature dropped rapidly, first at 6° per minute in the bag, then at 7° per minute out of the bag and on the plate. Heat was pouring off of the fries, unable to benefit from a pair of soft insulating buns like their hamburger friends. 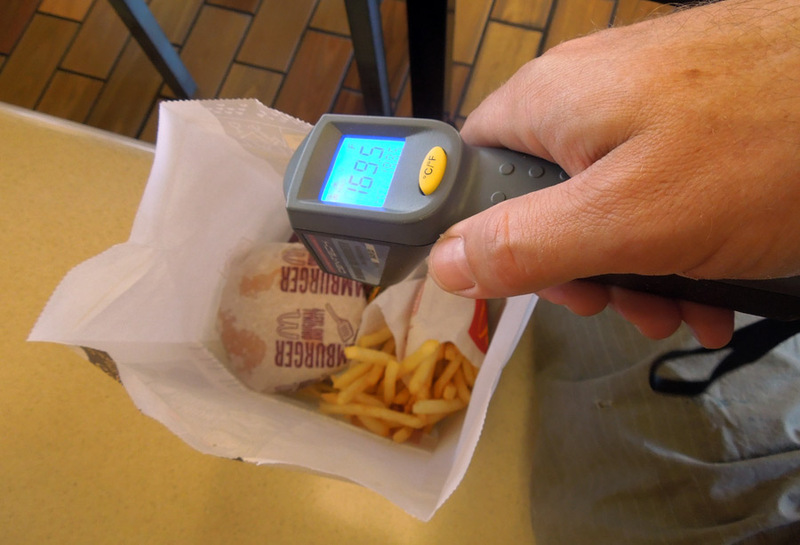 I assigned a minimum temperature for delicious fries at 100°F. Any less than that and the fries tasted like cold, dry salt sticks. Disgusting. 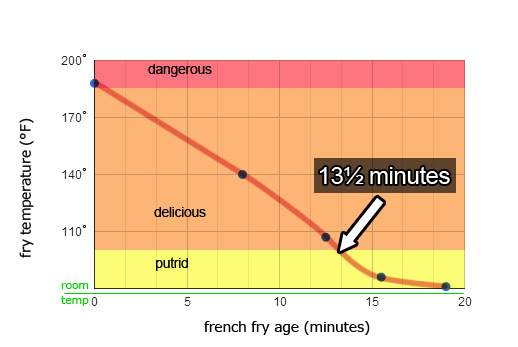 With the 100° threshold assigned, I was able to pinpoint the maximum lifespan of good-tasting french fries: Thirteen and a half minutes. Please plan your lunch accordingly. How Much is Inside French Fries? Which Restaurant is the Loudest?